This almost one-half acre parcel is an out-parcel of the Publix Town Center which includes restaurants and retail. This site is approved for commercial uses. The seller will consider a ”build-to-suit project. 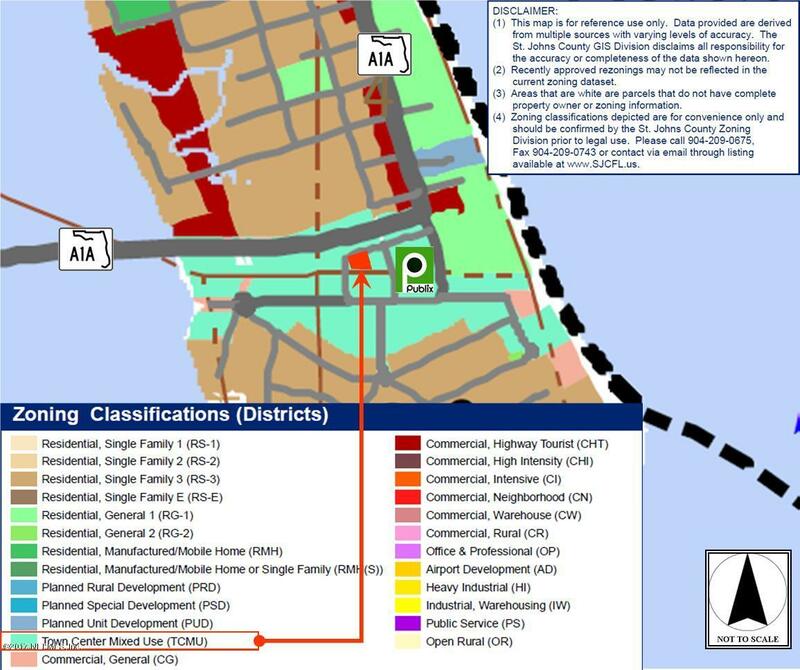 The traffic count on A1A next to the site is approximately 14,000 vehicles a day. This site is located in the Vilano Beach Town Center which includes public oceanfront access, public Intracoastal pier and dock, hotels, businesses, restaurants and surrounding residential. Two new hotels underway nearby.